New Year’s reception and lecture Sjoerd de Vries: Wisdom and love: what is buddhism? The New Year’s reception will be held on 2 February 2019 in the Nieuwe Kerk after the lecture by Sjoerd de Vries ‘Wisdom and love: what is buddhism?’. 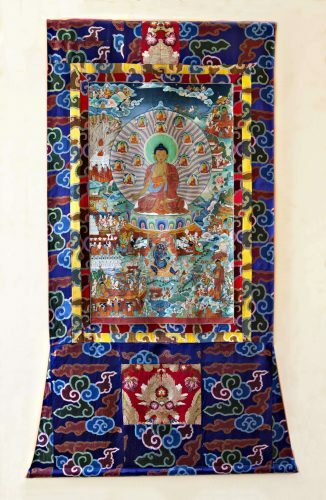 Sjoerd de Vries, art historian and tibetologist, owner of Galerie Astamangala, will illustrate the development of buddhism by art from India to the Himalaya, China and Japan. Following the lecture, he will be available to answer questions about the exhibition in the Nieuwe Kerk. Wisdom and love: what is buddhism? Buddhism has spread from India to various countries resulting in different interpretations and expressions. What are the differences between buddhists from Myanmar and Tibet? Sjoerd de Vries, art historian, tibetologist and owner of the Amsterdam-based gallery Astamangala, will illustrate these differences with the help of some of the displayed objects.